Kinsley Power Systems is the authorized distributor of KOHLER equipment for all of Connecticut, Vermont, Western Massachusetts, Cheshire County, NH and upper and lower New York State. If your project resides outside of our area and you are interested in purchasing equipment, please visit one of the other KOHLER distributors below. Loftin Equipment is the Kohler Generator Distributor for Arizona, Nevada, New Mexico and Texas. RP Power is the Kohler Generator Distributor for Arkansas, Oklahoma and Western Tennessee. CK Power is the Kohler Generator Distributor for Missouri, Kansa and most of Illinois. 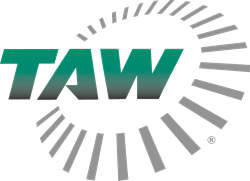 TAW is the Kohler Generator Distributor for Florida, Alabama, Mississippi and Louisianna. Nixon Power Services is the Kohler Generator Distributor for Kentucky, Central and Eastern Tennessee, North Carolina, South Carolina and Georgia.